The concept of maturity in race relations is a key factor in understanding why and how the label of “Anti-Semitism” intentionally prevents an honest dialogue over (1) the policies of the state of Israel, (2) the power of the Jewish Political Establishment in the United States and (3) the influence of members of the Jewish Community in the fields of culture and finance. Last week a law passed in South Carolina making it the first state in the United States to pass such a law defining anti-Semitism. Although the popular notion of Semitic people has increasingly and maliciously been narrowed (clearly not supported by the actual definition of the word “Semite”), no decent person wants to see Jewish people mocked, threatened or physically harmed. And any sincere effort to prevent the objectification or dehumanization of Jewish people is worthy of support. But is that truly the motivation of such laws like that just passed in South Carolina or one moving its way through Congress authored by Senator Marco Rubio — S. 198, “Combating European Anti-Semitism Act of 2017”? 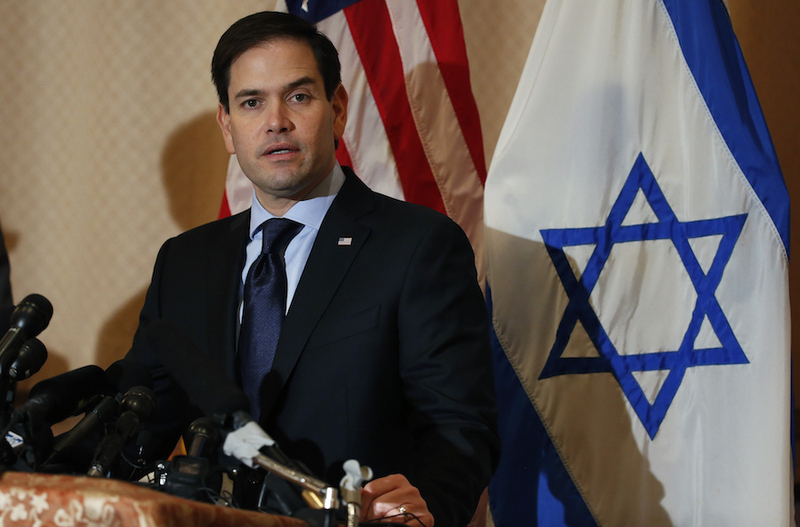 The South Carolina law and Senator Rubio’s are both based upon the definition of anti-Semitism set forth by the U.S. State Department’s Special Envoy to Monitor and Combat Anti-Semitism, in the fact sheet issued on June 8, 2010. But are aspects of that particular definition consistent with the First Amendment of the U.S. Constitution? “Following the definition hatched by Soviet dissident turned Israeli right-winger Natan Sharansky, the Fact Sheet defines anti-Semitism as, among other things, Denying the Jewish people their right to self-determination, and denying Israel the right to exist. This is nuts. Across the world, numerous peoples desire self-determination. Kurds have been seeking their own state since the late nineteenth century, roughly the same period when Jews hatched Zionism. So have Basques. Sikhs have been agitating for their own country, in Punjab, since Indias creation. The Igbos of eastern Nigeria actually created one, Biafra, for three years between 1967 and 1970. There are reasonable arguments in favor of these efforts at self-determination. There are also reasonable arguments in favor of requiring Kurds, Basques, Sikhs and Igbo to live in multi-ethnic countries based upon a national identity that supersedes their own. Either way, bigotry has nothing to do with it. If opposing a peoples desire for self-determination makes you bigoted against that group, then a lot of American Jewish leaders should report themselves to the Department of Educations Civil Rights office right now. Mr. Beinart’s concluding rhetorical question gets to the heart of the controversy between the Nation of Islam and the Jewish Political Establishment and the underlying tensions that have long existed in Black–Jewish relations and between the Zionist and Pan-African Movements. The subtlety of the maneuver to define anti-Semitism and apply it in the broadest context possible — cultural, political, punitive, criminal and under international law — may be lost on many, but it essentially amounts to a censure and sanction regime that forbids freedom of thought, freedom of speech, and freedom of assembly (study the demands by Jewish leadership that no one associate with Minister Louis Farrakhan) for a community of persons critical of Israel or the influence of Jewish persons. It ultimately results in only the State of Israel, the Jewish Political Establishment or Jewish persons being able to constructively critique themselves, while simultaneously being shielded from any criticism, censure or sanction for their negative attitudes, beliefs, policies and behavior against entire groups of non-Jewish people. 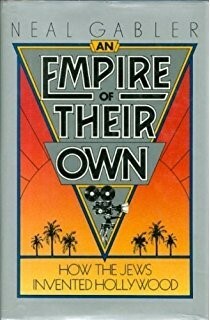 First, in 1998 Jewish film historian Neal Gabler wrote a book titled An Empire of Their Own: How The Jews Invented Hollywood. Read the book or at least watch the A&E Home Video based upon it, which includes this statement early on in its narration: “Modern America first saw light on a Hollywood screen. It was largely the product of six movie studios established in the 1920s and run for over 30 years by a group of Jewish immigrants.” This is a general statement about Jewish people in the context of their historical, cultural influence. It is not mythology but has been referenced as a myth so many times that most people would consider it such. Some say it feeds a harmful stereotype. 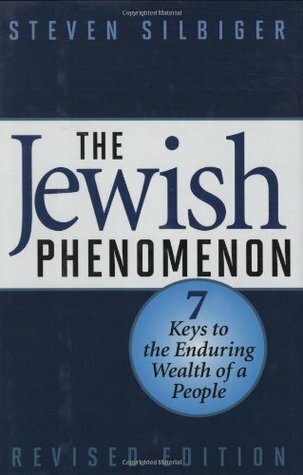 But how would that statement and the entire book fare under this portion of the definition of anti-Semitism moving through state legislatures and the United States Congress: “stereotypical allegations about Jews as such or the power of Jews as collective — such as, especially but not exclusively, the myth about a world Jewish conspiracy or of Jews controlling the media, economy, government or other societal institutions”? Now, imagine if it were a Black American making that statement. Or imagine if it were a Palestinian historian or scholar and not Neal Gabler who wrote the book? (5) 40% of partners in leading New York and Washington D.C. law firms are Jewish and 25% percent of all American Nobel Prize winners are Jewish. Now, imagine a Black American making those factual but very general statements. Imagine a successfully published Black professor or intellectual writing an entire book about that topic. What would the reaction and consequences be? And, what would happen if individuals began to tie criticism of the State of Israel or, say, criticism of the Conference of Presidents of Major Jewish Organizations, or simply AIPAC or the Anti-Defamation-League (ADL) to those facts? One could easily imagine such persons would soon or eventually be labeled “Anti-Semitic.” There appears to be no way (especially in America) to effectively cite the collective influence of Jewish people and connect it to political criticism of the State of Israel, in a public sphere. Finally, a couple of weeks ago Mr. Evan R. Bernstein began following me on Twitter. 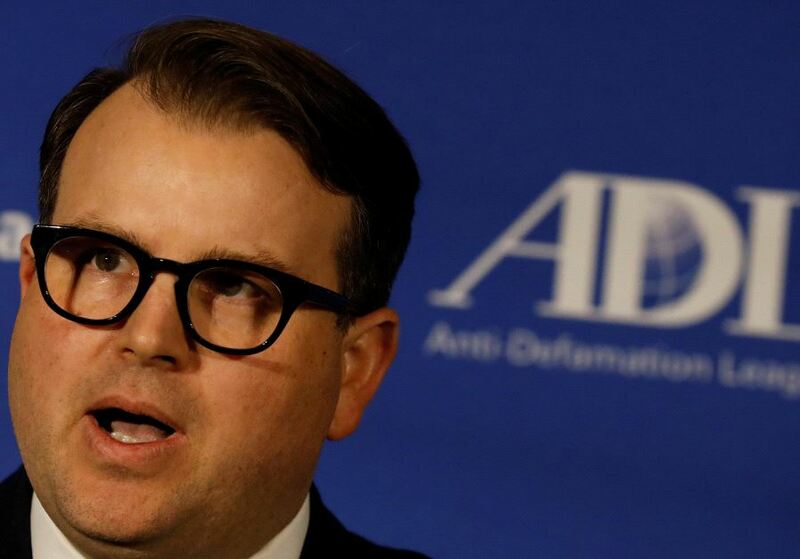 Mr. Bernstein is the regional director for the ADL in New York. I tweeted to him how pleased I was that he was following me and that perhaps it might lead to dialogue. I also mentioned in my tweet how much I appreciated his stance against the “#PunishAMuslimDay” social media movement. I suggested to Mr. Bernstein that perhaps we may have a dialogue. Then, I asked him two questions: (1) Have you or the ADL of New York condemned Israeli Prime Minister Netanyahu’s defamation of African migrants? And (2) What is your position on anti-Black statements in the Talmud. Mr. Bernstein made me aware of the ADL’s tweet encouraging Prime Minister Netanyahu to “deal humanely” with African asylum seekers in Israel. But he did not immediately answer my second question. I re-tweeted the ADL’s statement on the African migrants. Mr. Bernstein subsequently made me aware of an ADL statement expressing compassion for the families, friends and community of the recently murdered Saheed Vasell. As of the date of this writing — 10 days later —I still have not received an answer from Mr. Bernstein. 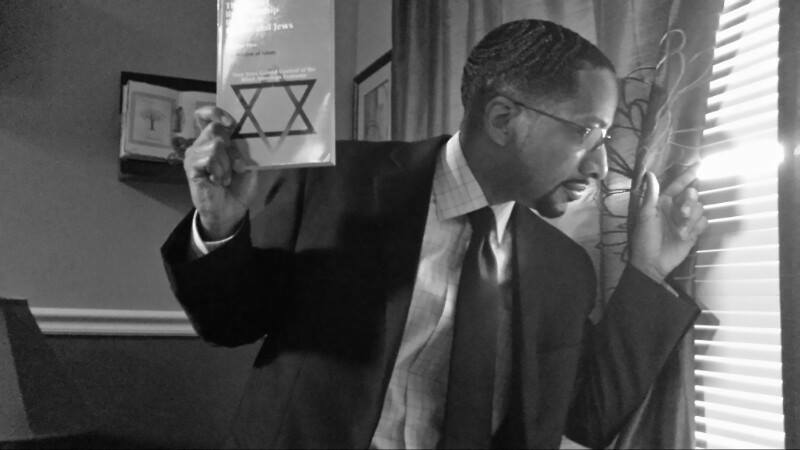 Why is it so easy for certain members of the Jewish community to demand that Black Americans denounce anti-Semitism and yet so hard for them to respond to calls for them to denounce anti-Black attitudes sourced from the Talmud — the book most central to their community? Would it have any chance of passage? Would Jewish Members of Congress support it? I still hope to have a mature dialogue with Mr. Bernstein regarding Black–Jewish relations, wherein we can discuss this.